Issue 58 arrives just in time to distract you from mourning the passing of Flickr and Tumblr (both victims to Yahoo's business development services). Well OK they're not dead yet but the way people are talking it's not going to be long. Well I suppose we can console ourselves with the fact that people can now upload up to 1,000 Gigabytes of photographs - "How great! ", I thought, I was only complaining the other day about how few images you get to see online. 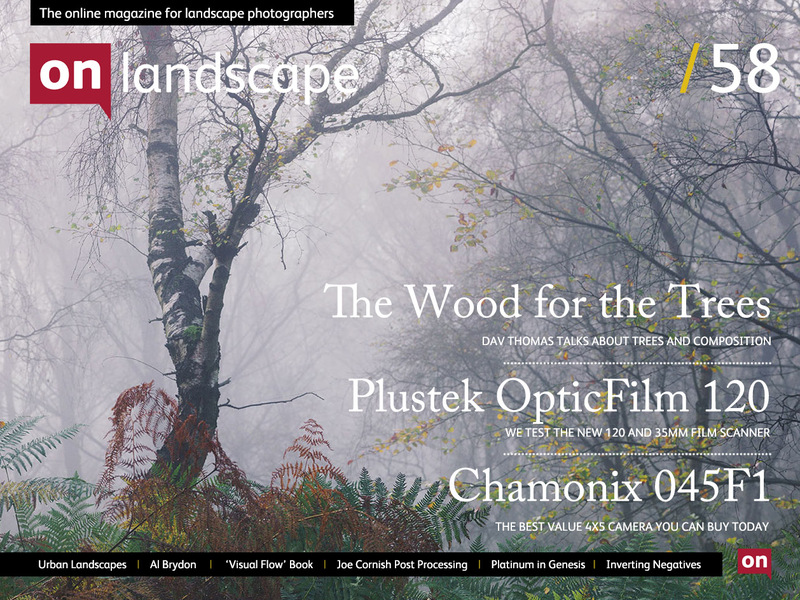 The editorial policymakers at On Landscape sometimes get accused of being a bit "film friendly" and "large format lovers" but we usually get on the defensive stating that we cover much more digital and that it's the photography that matters anyway. Not this issue though! We've got a bit of a film special. 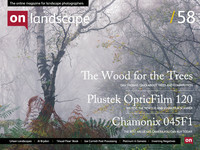 It all started with Plustek sending us a review copy of a brand new film scanner and at the same time we got an email from Dave Parry who had just received the first of a batch of new large format cameras from Chamonix, a chinese manufacturer with a reputation of quality at a decent price. We topped it off with a full length feature on inverting colour negative scans and a review of Salgado's platinum print exhibition and we have enough material to keep the moaners happy for another few months. 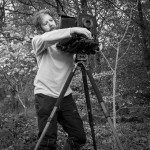 Elsewhere we asked respected large format practitioner Dav Thomas to discuss his tree photography as a warm up to a big feature on him and his new book project in a future issue. Finishing it all off with a much requested post processing screencast by Joe Cornish, a feature on finding quiet spots in the urban landscape, the dark forces of Al Brydon as featured photographer and a review of Ian Plant's and George Stocking's book on composition "Visual Flow".